On August 28, Experience Columbus once again included Worthington in its FAM (familiarization) trip, noting the city as one of the most popular Columbus-area destinations for the group tour market. The theme of this year's tour was "How did they do that?" And Worthington was the perfect fit with several experiential attractions like the American Whistle Corporation, The Candle Lab and Igloo Letterpress. This year tour attendees represented six tour companies from five states, including California. After experiencing several areas of Columbus, the operators arrived in Worthington at the American Whistle Corporation where every tour begins with these words: "Ever wonder how the ball gets inside a whistle?" The personally guided 45-minute factory tour shows the inner workings of a small but thriving American manufacturing plant and entertains with interesting factoids about the whistles and the machinery. 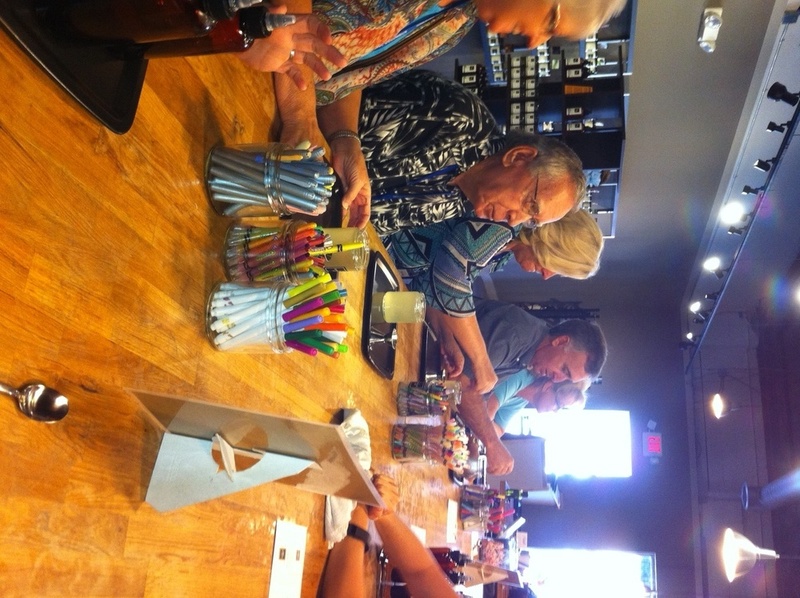 From there, the participants headed over to The Candle Lab where they chose from more than 120 scents to create their very own custom fragrance candle. And at the nearby Igloo Letterpress, the attendees made their own cards on antique printing presses. Owner Allison Chapman shared her personal story about coming to Worthington and how she inherited her grandfather's antique printing presses. She then took the tour operators for a glimpse at the future home of Igloo Letterpress on High Street. After a full morning of activity, the tour operators walked down the street to The Worthington Inn for lunch. The Worthington Inn has been rated one of the top ten restaurants in Columbus since 2004, and executive chef Tom Smith, who believes strongly in the farmer-to-chef concept, works with local purveyors to feature locally grown fruits, vegetables, meats and other food products. FAM trips are designed to increase product or destination knowledge. In this instance, the primary goal of the trip was to sell Greater Columbus as an exciting destination for future tour group visits, and Worthington was honored to be a part of the Experience Columbus itinerary. "The Convention & Visitors Bureau of Worthington is proud to showcase the variety of attractions that Worthington has to offer the group tour market," said Executive Director Mindy Mace. "Our experiential packages are unique and always receive rave reviews from the tour operators who visit Worthington during these FAM tours."